In addition to its annual conference ALMA presents an annual symposium on laboratory management at the Eastern Analytical Symposium (EAS), delivers periodic webinars and provides the opportunity for managers to network by joining the ALMA Lab Managers LinkedIn Group. 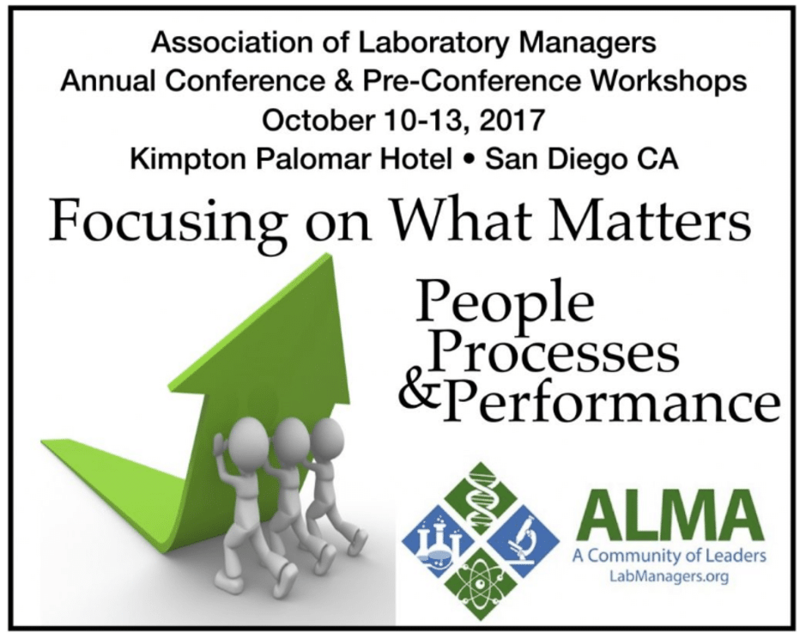 Managing a laboratory organization requires a unique blend of technical and managerial skills. Most laboratory managers, by education and experience, are thoroughly capable of handling the technical aspects of their jobs, but often the managerial skills are learned on the job. Available managerial training and literature are generic and do not address the unique skills require to manage a laboratory operation and technical staff. This lack of information and educational opportunities led to the formation of a laboratory managers association to provide a venue where technical managers can exchange ideas and experiences to acquire the skills needed to effectively manage.